I decided not to post the last few pages from the scrapbook for our exchange student – they were of his going away party and a collection of mementos and I felt that these pages were too personal to share on this blog. 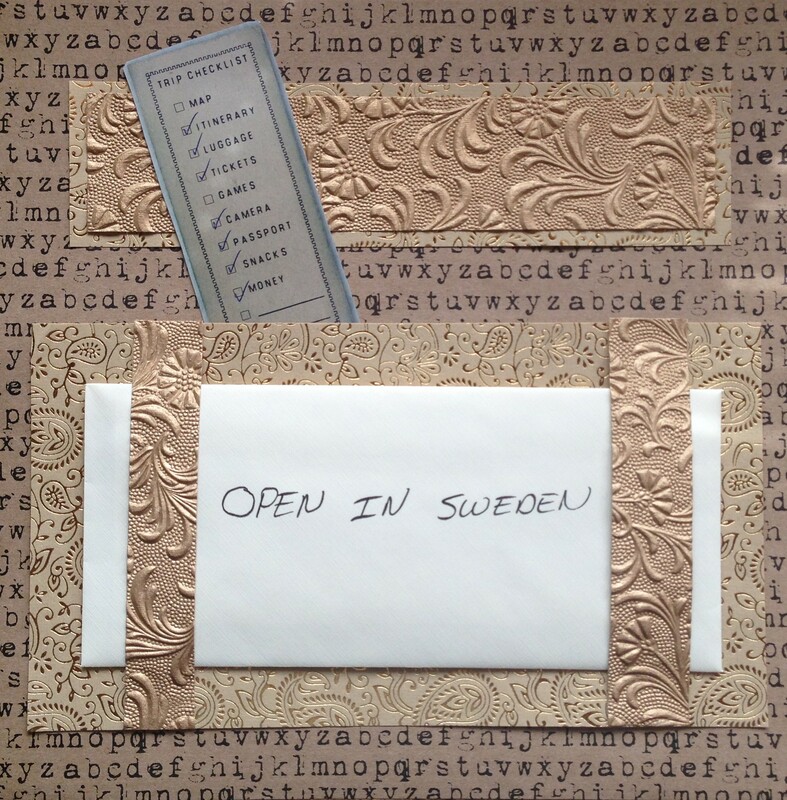 I also completed these pages after our exchange student had returned to Sweden, and I mailed them to him without taking pictures of them. I did want to share the last page of the album though. The reason for this is that it is often hard to decide what to put on the last single page in the album as it needs to summarize the album and conclude it, while doing it only on a 12×12 page. I created this page the day before he left and sent it with him on the plane. The whole page is designed to hold an envelope for a personal letter than I wrote to him, sharing how much we enjoyed hosting him, and how much we were going to miss him. I wanted to put it in an envelope because it was a personal letter to him that I didn’t want other viewers to read. He shared with me later that it was over two months after he returned home that he finally felt like he could read the letter because of the emotions that he had in leaving. I felt the same way – he had written a letter to me and gave it to me on the day he flew back, and it was many weeks before I could read it because I felt such a great loss. Even though I felt that loss and our home felt empty for many weeks the experience of having an exchange student in our home was a wonderful one and we decided to do it again this year!